On the heels of a huge launch for their drone insurance program, insurtech startup REIN, which operates DroneInsurance.com, just landed a massive partnership with AeroVironment. California-based AeroVironment is one of the biggest leaders in the enterprise-level drone industry, responsible for both commercial and military applications of drones. AeroVironment is the Pentagon’s top supplier of small drones such as the Raven, Wasp and Puma drones. But Aerovironment has also made instrumental strides in agriculture, with their 2017 launch of Quantix, a $16,500 drone for farmers. And now, DroneInsurance.com is collaborating with AeroVironment to offer commercial drone insurance solutions for the Quantix. The Quantix has been a game-changer for farmers with its fully-automated takeoff, flight and landing, eliminating the learning curve for agricultural experts who don’t necessarily want to learn how to fly a drone. The Quantix can then quickly map acreage (it can scout up to 400 acres in 45 minutes), allowing farmers to easily spot crop health and operational issues that might be missed by the naked eye. From there, anomalies can be identified and ground truthed to determine water, insect, weed and disease pressures. Current and future Quantix owners will now be able to purchase 24/7 ground coverage and usage-based flight coverage at DroneInsurance.com. DroneInsurance.com offers the option to purchase on-demand flight coverage for as little as a day or as long as a year. Flight liability limits range from $1 million to $25 million. Episodic insurance can be an ideal option for the agriculture industry, which is quite seasonal. Farmers may only need to fly drones during a couple months of the year. 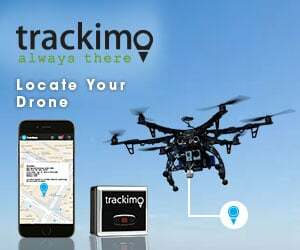 DroneInsurance.com offers episodic flight coverage, so customers have the ability to add flight coverage only when they need it, thus only paying for the seasons they work in. Unlike car insurance, drone insurance is not a legal requirement in the U.S., according to the Federal Aviation Administration. But, having it could save you a lot of headache later, should you become liable for damages caused by your drone. And many commercial businesses won’t hire freelance drone pilots unless they have drone insurance coverage. DroneInsurance.com has been rapidly expanding and earlier this summer, its parent company, REIN, announced a $7.3 million venture funding round with investors including Liberty Mutual Strategic Ventures and Kiplin Capital.